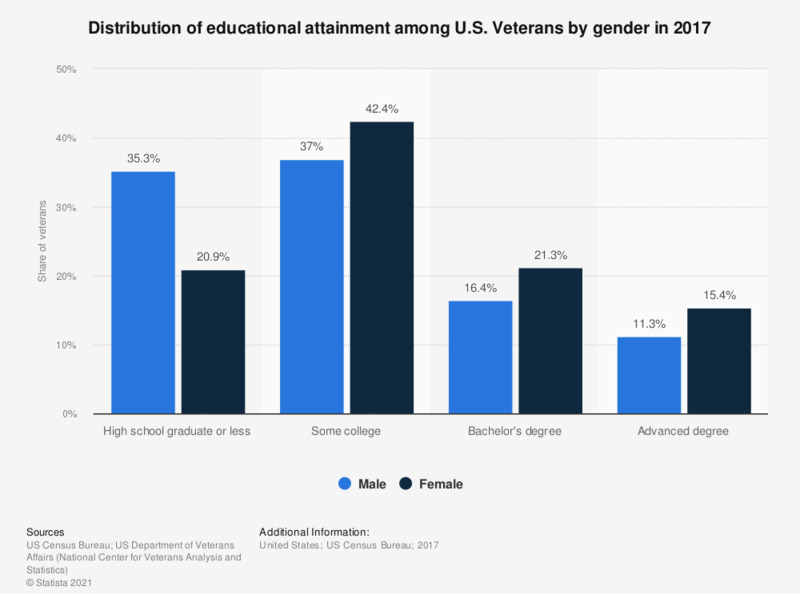 This graph displays the distribution of educational attainment among veterans in the United States in 2017, by gender. In 2017, about 21.3 percent of female U.S. veterans had attained Bachelor's degree. “Educational Attainment” refers to the highest level of education an individual has completed. “Advanced Degree” refers to Master’s, PhD, JD, MD, or other professional degree. How important is having a certificate or degree beyond high school?